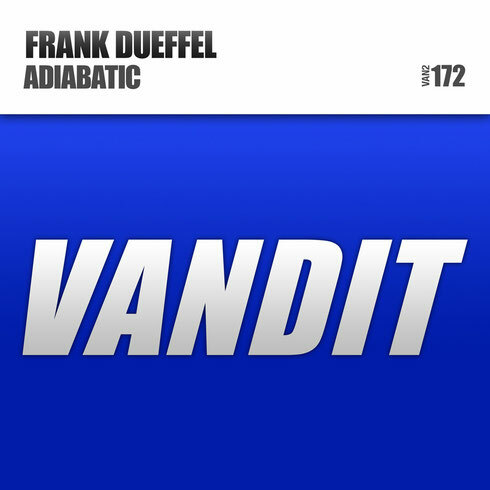 ‘Adiabatic’ may be his debut signing to Vandit, but this may not be the first time you’re hearing the name ‘Frank Dueffel’. In a little over three years the producer has amassed a disc and remixography as wide in range as it is high in quality. From his home base in Wesseling, Germany he’s inked his productions and reworks to a litany of European labels, Outburst Records, Black Hole, Phoenix Recordings, Komplex Sounds and High Contrast Recordings among them. With musical influences including Paul van Dyk, Activa, Astral Projection, Simon Patterson and Liquid Soul, even if this is your first Frank encounter, you’ve probably already got a good idea of what ‘Adiabatic’ has in store. With a production mainframe built from fast running kick-drums, raging acid, serrated riffs and psy-trance FX, peak-time is possibly dead centre of its crosshairs! At the top-of-the-drop, Dueffel’s thunderous beats meet his ripping synths with a tectonic force. Look out for it now, it’s out on Paul van Dyk’s Vandit Records.